Don’t miss this fun Grinch Giveaway! Dr. Seuss’ The Grinch is now available on Digital and via the digital movie app MOVIES ANYWHERE! 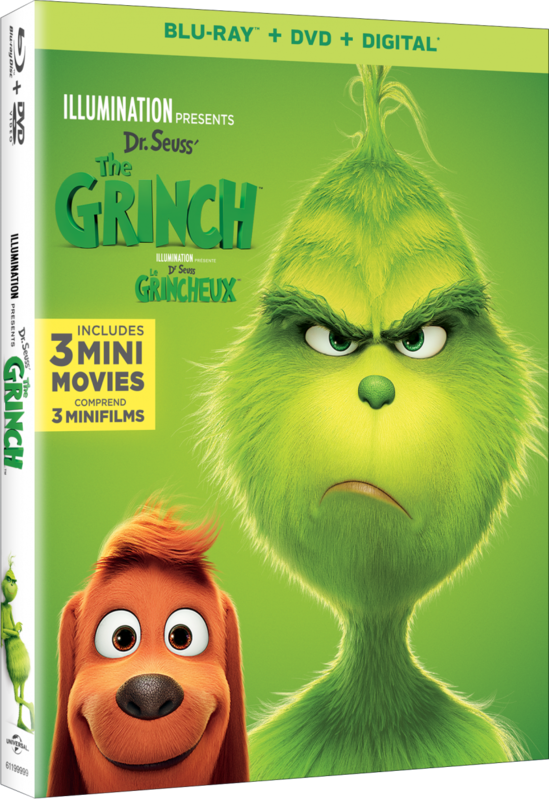 Get your own copy of The Grinch on Blu-ray on Tuesday, February 5th. This fun family film is based on Dr. Seuss’ beloved tale about a cynical grouch who goes on a mission to steal Christmas from others only to feel his own heart grow three sizes larger through unexpected friendships is one “the whole family can watch and enjoy. Don’t miss the Trailer and these other fun Clips! 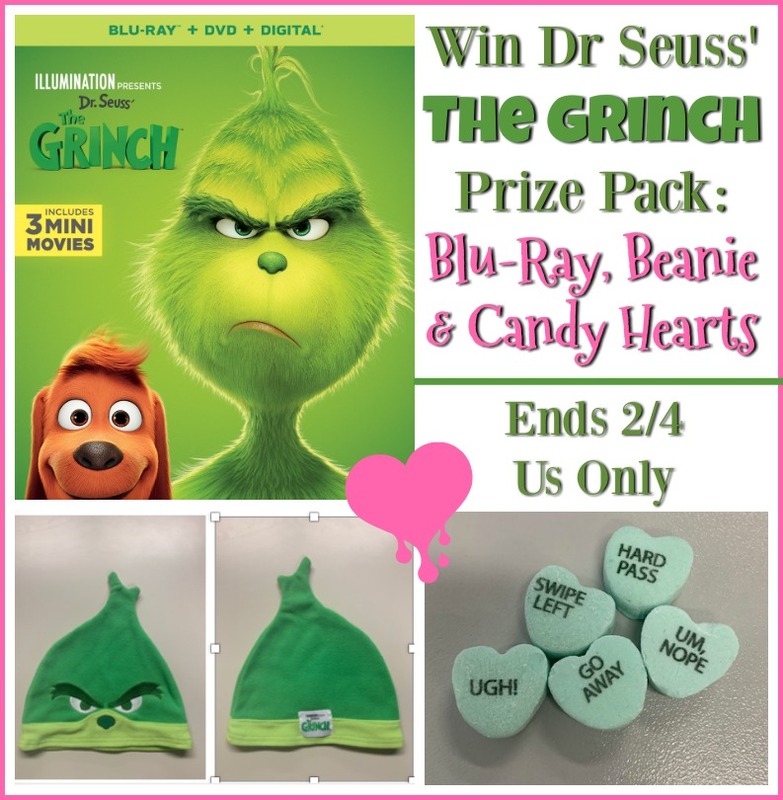 One lucky reader will win this fun Grinch Prize Pack with The Grinch Blu-Ray, a Grinch beanie and Grinch Valentine’s Day Candy Conversation Hearts. My favorite character is the Grinch. My favorite character in The Grinch is Max. Hubby loves The Grinch and we like Cindy Lou Who! My hubby loves The Grinch, we like Cindy Lou Who! My favorite character in the movie is Max the dog. I like the Grinch’s reindeer. I love this movie!! My favorite character is Emmylou! I love Max, he is so adorable. The Grinch is my favorite character.